How much does a cosmetic consult appointment cost? Can I bill it to my insurance? Cosmetic consultations range between $75 and $125. If you decide to proceed with surgery within one year of your consultation, this fee is deducted from your surgical costs. How long does it take to obtain a consult appointment? In most cases, we will be able to schedule your consultation within 3 weeks. Do I have to have a referral from my doctor in order to schedule a consult? No, you may make an appointment directly. What happens during my consult appointment and how much time should I expect to be in the office for a consult appointment? 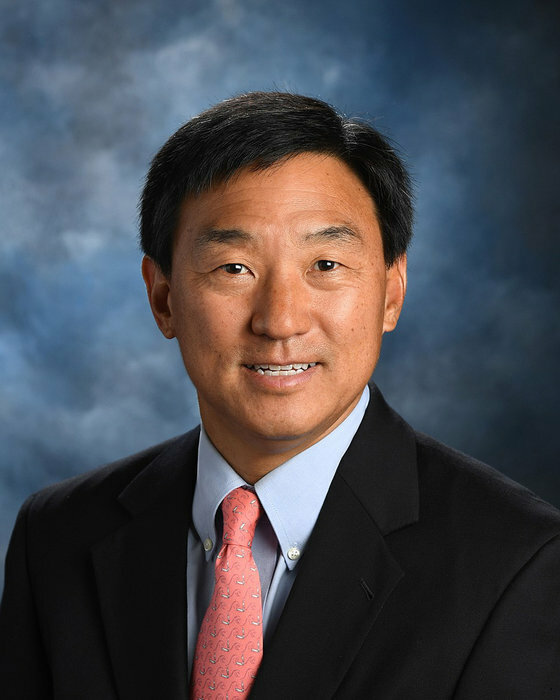 During your appointment, Dr. Park will examine you and discuss your goals. He will offer options and make recommendations based on his evaluation. You may view videos and receive written materials to review. Your total time in the office will average between 30 to 60 minutes. How soon can I schedule my cosmetic procedure? After your initial evaluation, your surgery may be scheduled within a month depending on availability. It is sometimes necessary to obtain certain testing and clearance from other physicians prior to scheduling. What day or days are cosmetic surgeries performed? Most cosmetic surgeries are performed on Thursday. In certain situations, smaller procedures are sometimes performed on other days. Will my procedure be done at the office or hospital? The vast majority of cosmetic procedures are performed in our certified operating room on site here at Park Plastic Surgery. Some cosmetic procedures may be performed at the Day Hospital if deemed appropriate after Dr. Park’s evaluation. How much does a cosmetic surgery cost? Costs vary widely depending on many factors. Some procedures include special equipment, implants, lasers, etc. and this will affect the pricing. During your appointment, you will be provided with a comprehensive outline of all costs for your specific procedure. What cosmetic surgeries are covered by insurance? No true cosmetic surgeries are covered by insurance. There are some procedures which are in a “gray” area and an inquiry can be made to your insurance carrier. Do you have a payment plan for cosmetic surgeries? We utilize Care Credit (www.carecredit.com) for surgery financing. Can I make monthly payments for cosmetic surgeries? Our patients who desire monthly payments usually use a credit card or Care Credit. We do not offer a monthly payment here. Can I schedule more than one cosmetic surgery at the same time? Yes, certain procedures can be combined. Do you offer discounts for additional surgeries? Yes, multiple procedures are discounted. Will I be put to sleep for my cosmetic surgeries? Our most common anesthesia is a “twilight” anesthesia. You receive medicine through an IV and also receive numbing medicine. You will not be placed on a ventilator. We find this method very safe and comfortable for the patient. Procedure times widely vary and Dr. Park will discuss this with you during your consultation. If you have IV anesthesia, you will need to stay in the recovery room for at least an hour after the completion of your procedure. How often will I see Dr. Park after my surgery? Follow-ups are fairly frequent right after surgery, including the next day in many cases. As time passes and your recovery is going well, the visits becomes less frequent. What is my recovery time after surgery? How soon can I go back to work? Will I have a lot of restrictions? Each procedure has different recovery times. You will not be allowed to drive the day after surgery and if you are taking any pain medications. Otherwise, Dr. Park will discuss your expected recovery with you at your consultation. After many surgeries, desk work may be done within days; more active jobs may require additional restrictions, i.e. ”heavy lifting.” Dr. Park will discuss all required restriction with you prior to your procedure. Do I have to have someone stay with me after surgery? We require someone to stay with you for a minimum of 24 hours after anesthesia. What kinds of tests have to be done before surgery? Different procedures require different pre-operative preparation. Depending on your age, general health, current medications and the procedure being performed, you may need blood or urine tests, an EKG, or clearance from other physicians. Does Dr. Park do a lot of cosmetic surgeries? How long has he been practicing? Dr. Park has been doing cosmetic surgery for over 25 years and has done extensive numbers of cosmetic procedures. What happens if I have to cancel my surgery after I have paid? We have a set policy for refunds which you can review here.